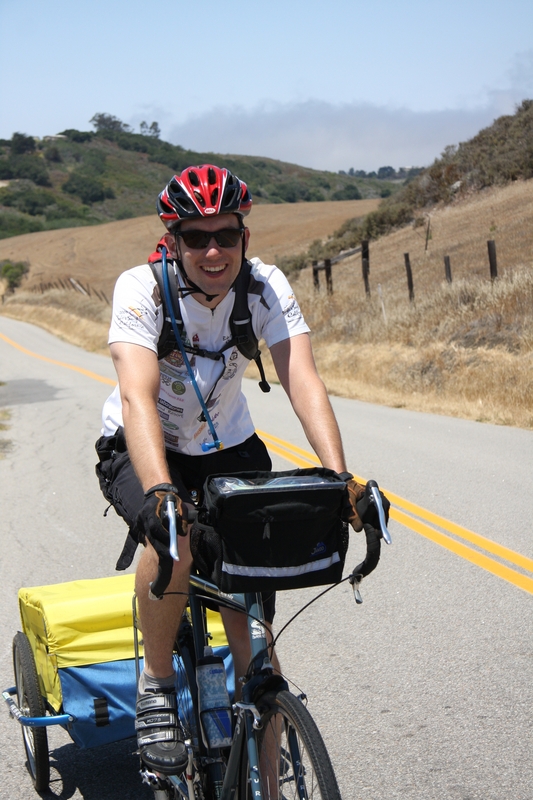 Hello everyone, I am Mike Conway, the new Development Manager for the Community Cycling Center. I am honored to join the passionate team at the Community Cycling Center to further its mission to broaden access to bicycling and its benefits. As an avid bike rider, and from my graduate research on bicycling interventions, I am inspired each day by how a bicycle can empower people in our community. I completed my Masters degree in Social Science in May of 2012 from Humboldt State University’s Environment and Community program. My research focused on increasing bicycle commuting by analyzing the various bicycle policies, infrastructure, and barriers to riding. From this I developed a model for how to implement interventions used to promote bicycle commuting. Immediately following graduation (two days later), I moved to Portland with my wife, Laura. My hope is to see bicycles used as a tool to mitigate inequities and to empower people to travel by bike as a valid and safe means of transportation and recreation, and I feel Portland is a great place to do this. I have a background in fundraising at several non-profits, from environmental to health care focused. I love fundraising so much that in my free time I developed my own event to raise funds for the American Cancer Society. It is called Bike and Surf California. Several of my close friends biked and surfed down the coast of California bringing attention to the connection between environmental and health issues — and we did it all without sag support. I look forward to meeting and working with all of you and to further the impact the Community Cycling Center, our partners, and our volunteers have in Portland. If you would like to connect with me, please feel free to call me at 503-288-8864, ext 325 or email me at mike.conway@communitycyclingcenter.org.